Home / Blog / What is Owner Financing Real Estate? What is Owner Financing Real Estate? The easiest way I can think to explain owner financing is by using a real life example that we did here in St. Louis. We had a 4 family apartment building that was selling for approximately ½ million dollars. When I looked in my bank account I was like I don’t have an extra ½ million dollars just laying around at this exact second. So we went to the seller and we negotiated with them for terms. We said Mr Seller here is what we would like to do, what we would like to do is we would like to give you $100,000 today and if it’s okay with you what we’re going to do is we’re going to pay the rest of that ½ million dollars but we need time to pay it so what I want you to do is on this $400,000 I need you to carry the note secured by a Trust deed. Which is simply a fancy way of saying that I’m going to make you payments over time. Now in this particular instance what is the benefit. The benefit here is we only had to come up with One hundred thousand dollars to buy an asset that is worth $500,000. The benefit to the seller is he is able to get rid of the asset and still receive some passive income which is something that had become important to him. As people get older and realize that big chunk of cash is less important while the cash flow becomes more important. They want to make sure they don’t outlive their money so they can convert what is their equity or piles of cash into streams of cash. 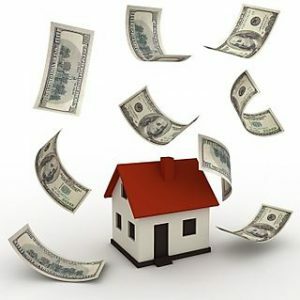 This allows us to buy more assets and allows sellers to have a nice sustainable stream of income. If you’re interested in selling your property for a chunk of cash or a stream of cash through an owner financing deal in St. Louis please give us a call at 636-525-1566.